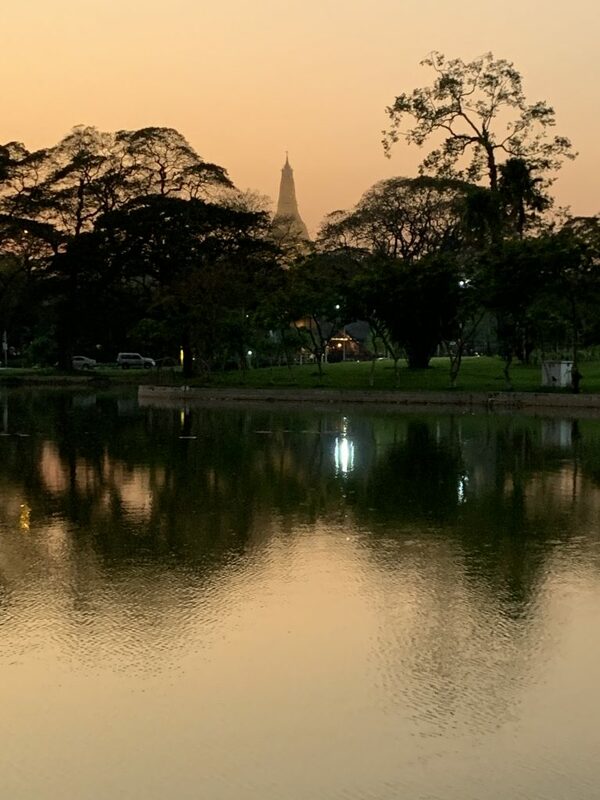 Let me rephrase that…it’s more a case of what did I NOT see on my run in the park near my Yangon hotel! I went out in the cooler evening, after a hot day of sightseeing, for a run in a delightful park, Bogyoke Park. 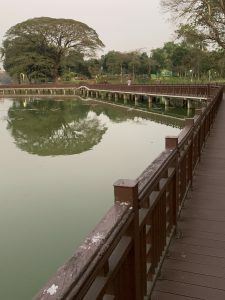 With a well-lit wooden walkway across the lake, and lots of people out running. The wooden surface was nice to run on. The park is well lit, even as the twilight deepens. I felt 100% safe. The walkway isn’t that long, but I trotted up and down it, as did all the other runners, and the kilometres gradually increased. 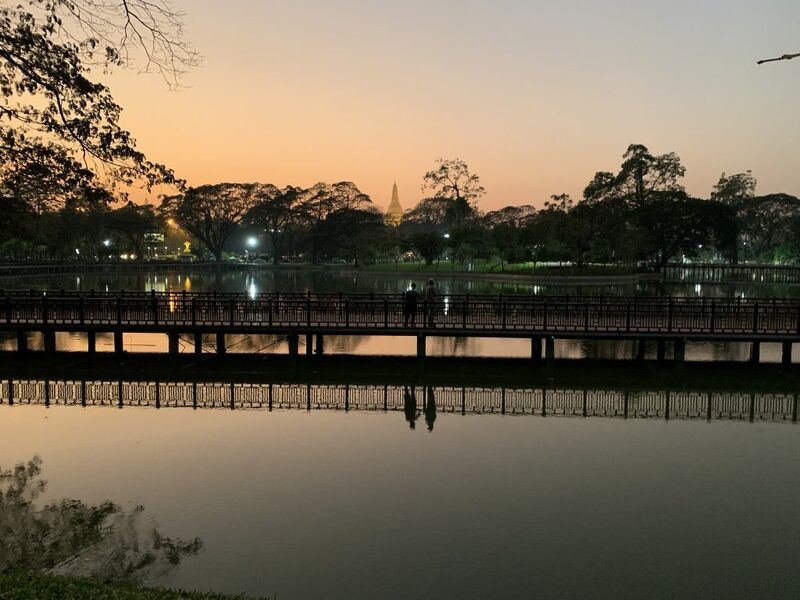 The Shwedagon Pagoda, in the golden glow of sunset, literally stopped me dead in my tracks. 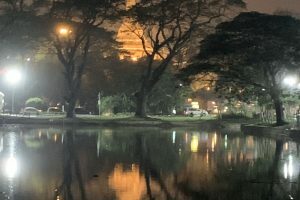 So if I were to answer the question of this blog post literally…on my run in Yangon, I saw beauty and history and serenity and golden reflections in a peaceful lake.